The students have arrived in Switzerland! Most of them travelled here on the same flight last Tuesday, September 2nd, arriving in Zurich the next morning. 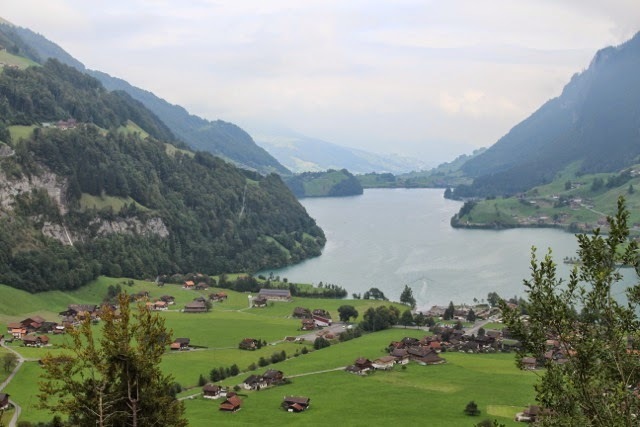 There was no time for jet lag though, as the group was immediately bussed to the small village of Grindelwald in German Switzerland, where staff members worked to build relationships among the group, engaging them in alpine games and hiking in the mountains. I was not on this part of the trip, so I have borrowed a couple of photos to give you a sense of the place. 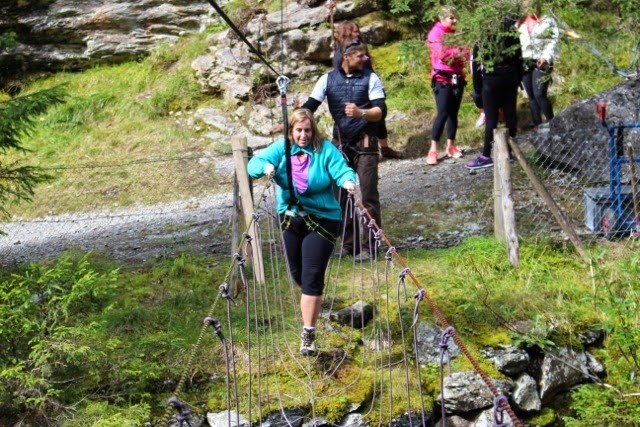 Jen leads students over rope bridge. 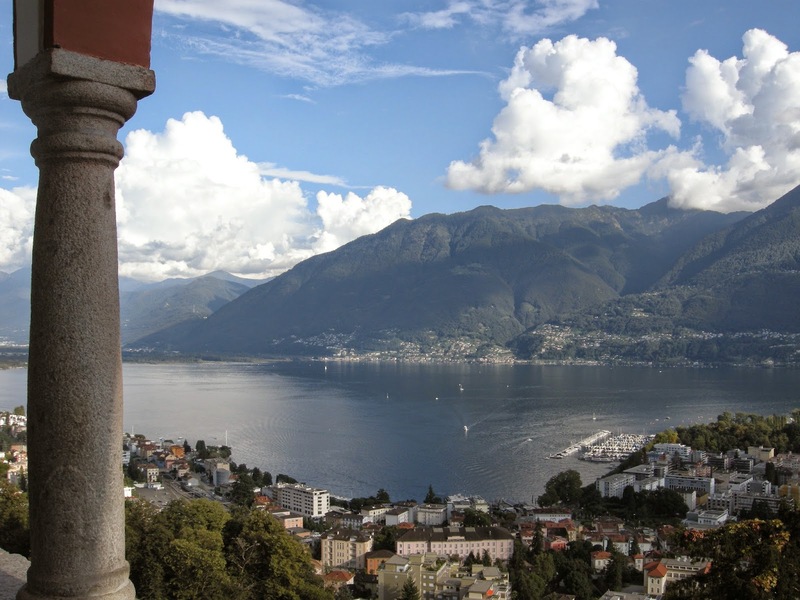 On Saturday, Paul, Terry, Bob and I joined Bill, Jen, Louise and, of course, the students, for the second half of their Orientation Week in Locarno, a beautiful spot in the southeast part of the country, very close to Italy. It was a four and a half hour journey from Neuchâtel to our destination, but the train ride felt much faster. The scenery was spectacular: we saw mountains everywhere, picturesque villages, glacier-fed lakes, waterfalls, and rivers, all made more beautiful by lush valleys and grazing cows. It was intriguing to watch the signs change as we moved east (from French to German) and then south (from German to Italian). The languages may have differed but we never left Switzerland. 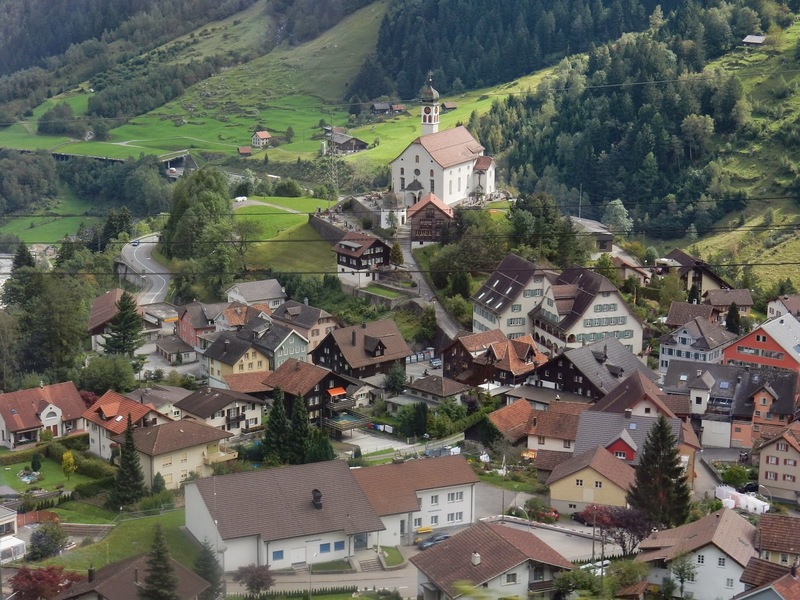 A Swiss village as seen from the train. 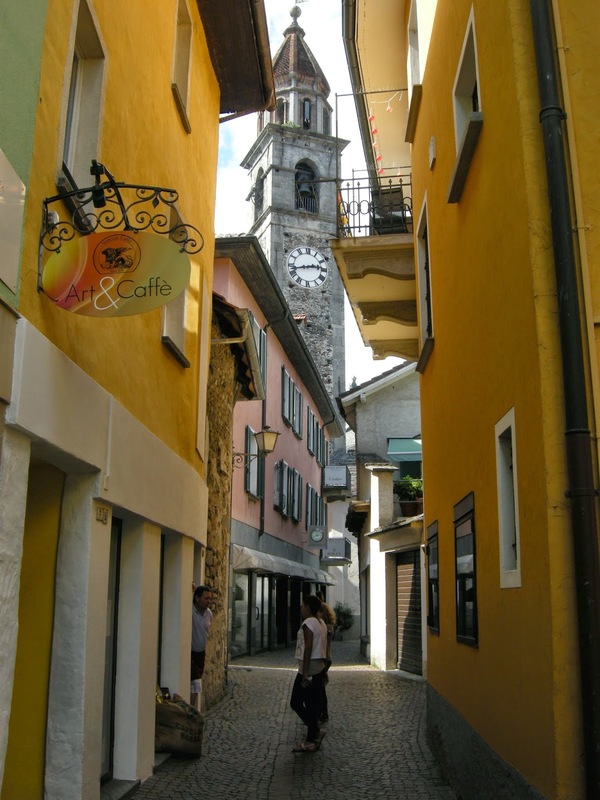 Locarno feels very Italian. It is a tropical spot with palm trees, pizza and gelato shops and colourful buildings lining the old parts of the town. The day we arrived, the Piazza Grande was full of sports cars assembled there for some sort of exhibition. It was a short walk from the train station to the youth hostel where we would meet the others who had traveled from Grindelwald by bus. These Porsches were waiting for us in the Piazza. It felt good to meet the class of 2015 at last. Outside of my teaching responsibilities, I have been assigned to work with ten students, three boys and seven girls, whom I will advise during the year. This small group were among the first I met, since this is like "home room" in other schools. I soon discovered that the students had written a skit and I would have a small role. 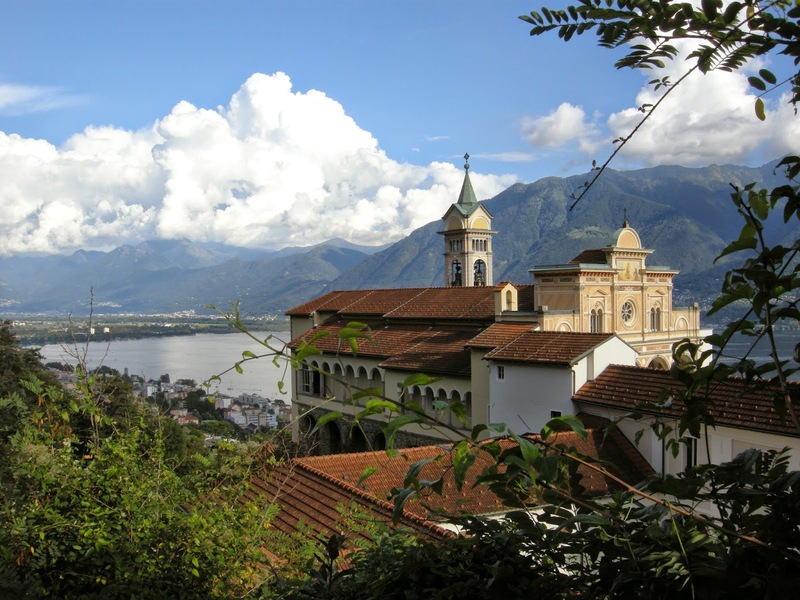 Once we had settled into the hostel, we headed into town to take the funicular up to Madonna del Sasso, a shrine perched well above the town; the view from this height was quite spectacular. Looking down from the shrine. 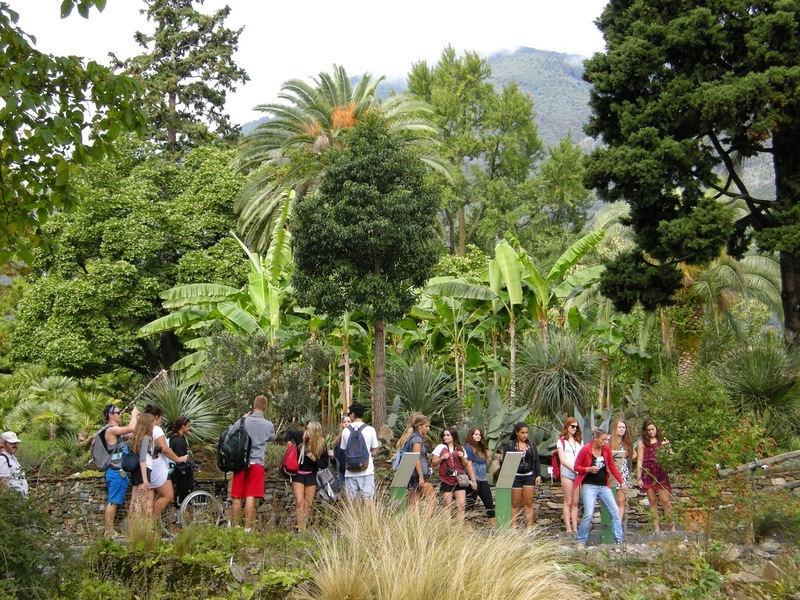 On Sunday, we all made our way to the pier for a boat trip across Lago Maggiore to a small island, San Pancrazio in the Isole di Brassago, which houses a unique botanical garden. Here, the local micro-climate supports the growth of plant life from all over the world. Among other flora, I saw my first Venus flytrap, an ancient eucalyptus tree, and Mexican cacti. 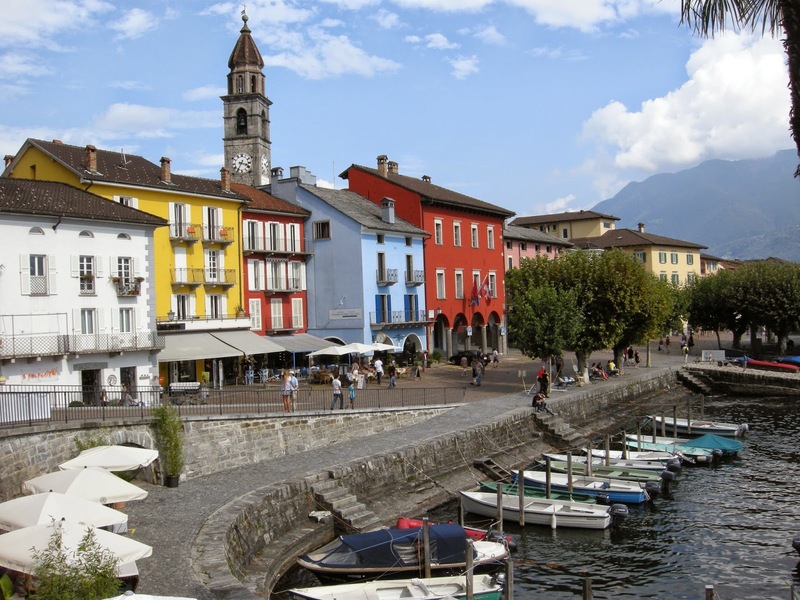 Our next stop was Ascona, another beautiful village with an Italian flavour. After lunch, while many of the students headed to the beach, Bob and I wandered the warren of narrow streets. We had unstructured time in the town, which for both the students and the staff was very welcome after a hectic five days. 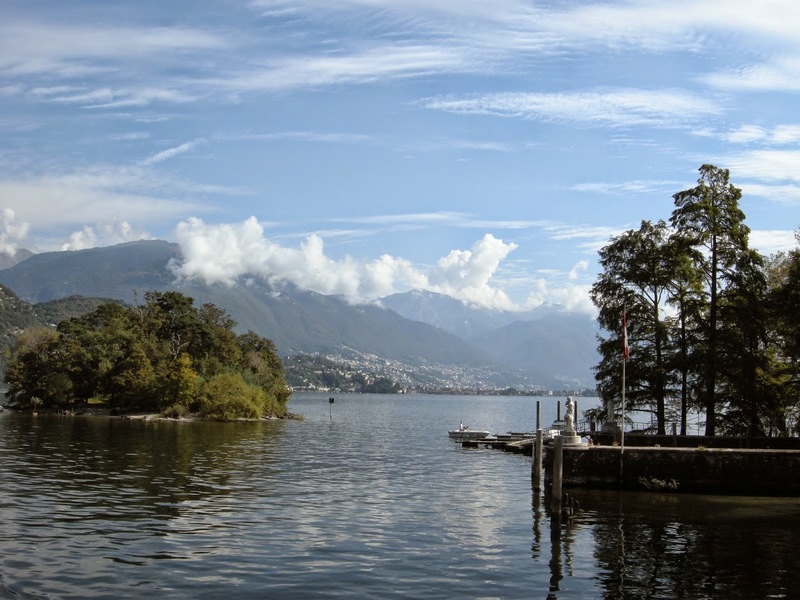 At four, we returned to the boat and headed back to Locarno for the rest of the day. This would be the final night of Orientation Week, one where the students would discover with whom they would be placed for the year. Our students are billeted, living with "pension" families; one of the goals of these days after their arrival in Switzerland was to determine which home would best match each adolescent. Bill and Louise spent the evening in conference with individual students preparing them for this next step in their year-long adventure. Spencer and Matt meet their host family. They will have "little brothers" for the year. Early Monday morning, we boarded a train and headed to Neuchâtel. 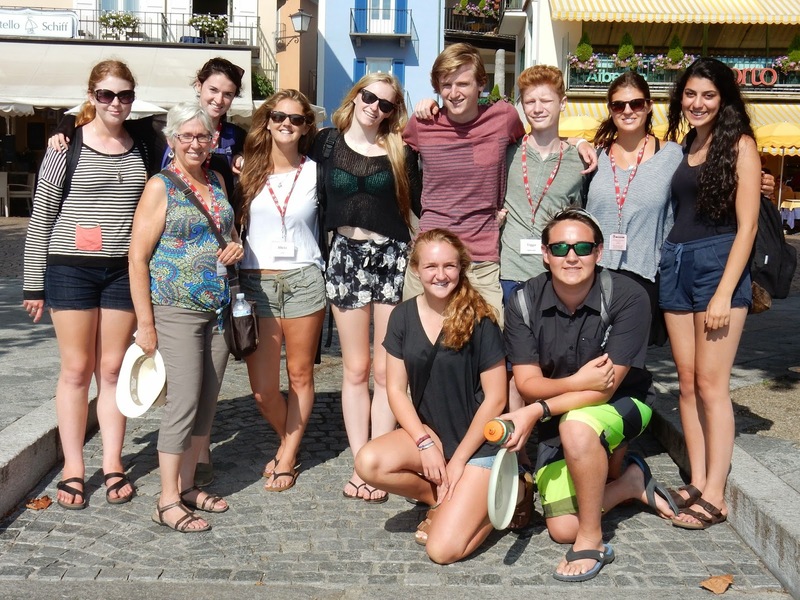 In the first few hours after their arrival in their new community, the students had toured the school, walked through parts of the town, and met their host families. They were now ready to begin classes.